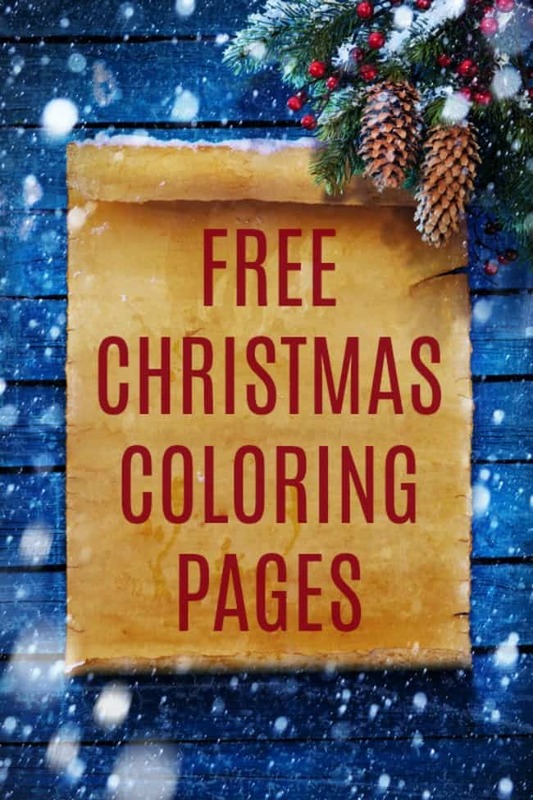 These Free Christmas Coloring Pages are a great way to keep your kids (or even yourself) occupied this busy holiday season. Check out all these cute options from Santas and Snowmen to nativities and yes even the Elf on the Shelf. Print out a few or a whole slew of them and let your kids get excited about the big day coming. They can color a picture for Santa or one for mom to display on the refrigerator. Christmas is a busy time for everyone and having a few of these coloring pages on hand while you try to wrap gifts or make that next batch of cookies will be well worth it. Plus, it’s also a great way to spend time with your family this holiday season too. Sit down and color a page or two with your kids, they are only little once and time flies way too fast. When you’re ready to begin coloring, simply click on here or on one of the coloring pages below. It will take you to my Pinterest Christmas Coloring Page board that has loads of choices to choose from. Then you can break out your red and green crayons and color the day away. Christmas is that magical time of year, filled with classic traditions and opportunities for creative projects for your kids and of course with your kids. If you’re looking for ways to spend time with a family or keep the little ones entertained indoors, these Christmas coloring pages are just what you need. as they make great Christmas gifts and to continue their love of art all throughout the year.